Good speaker engineering doesn't happen by accident! MX-Designs speaker series are based on the famous and highly claimed CDT Audio Contoured Dispersion woofer driver Technology here incorporated with the new unique multi flexible multi adjustable crossover marvel MX-1000-SX 2/3-way design. “A new standard for Reverberant Field” Musical Transportation. 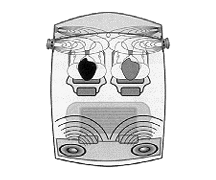 The speakers in any audio system establish the basis for the quality of sound. After all, if the speakers themselves aren't of the best quality by design. The music, no matter how pure, will get lost in the transfer. 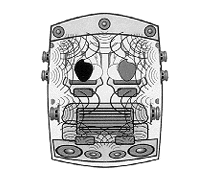 Good speaker engineering doesn't happen by accident, nor is it accomplished by expensive marketing. 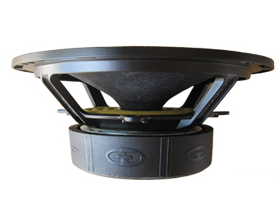 Years of research, engineering and critical listening go into our proprietary speaker system designs - they are the systems critically acclaimed by industry professionals, and they are built on a technology called "Contoured Dispersion". The MX-Designs Component drivers with "Contoured Dispersion" provide the ultimate solution to the sonically intense reverberant field car audio environment. 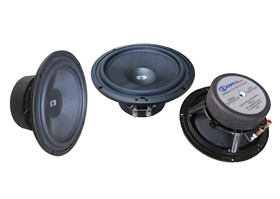 Most factory audio speakers are located in the same place, and most of our competitors take the "shotgun" approach with a multiplicity of disparate sound sources. Our integrated oblique driver system provides single mounted Contoured Dispersion door mounted system that produces a sonic image that virtually appears "right in front" of you. It offers maximum sound definition with a minimum of drivers. This means it's also very easy to install. Simplicity at it's best. They're competition quality and they literally shape the sound so it appears where it's supposed to be. Up front and on the beat. Critical ears have turned to MX-Designs and you'll be a believer too. Until you've heard MX-Designs, we think you've never heard the most accurate, most compelling musical reproduction you can here in a car. Let the Music begin!